Pratham Arora, a research scholar with the IITB-Monash Research Academy, firmly believes that producers of industrial chemicals increasingly have a responsibility towards protecting the environment, and so it comes as no surprise that his research project is targeted at strengthening and helping preserve our fragile planet. The IITB-Monash Research Academy is a collaboration between India and Australia that endeavours to strengthen scientific relationships between the two countries. 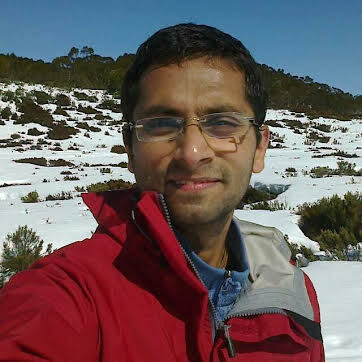 Graduate research scholars like Arora study for a dually-badged PhD from both IIT Bombay and Monash University, spending time at both institutions to enrich their research experience. Arora’s project is titled ‘Techno Economic Evaluation of Biomass Gasification with Carbon Capture for Production of Ammonia’, and, with biomass, he is pursuing a non-traditional method to produce ammonia. The expected benefits are dual: while the usage of biomass will save precious fossil fuel resources, it is also expected to make the ammonia production process less carbon-intensive. Global economies today have an enormous appetite for ammonia—a colourless, caustic and hazardous gas with a pungent odour. Ammonia is produced from hydrogen and nitrogen. Syngas—which provides the source of hydrogen gas for reaction with nitrogen gas—is a mixture of hydrogen, carbon monoxide and carbon dioxide, which is commonly produced by reforming natural gas. A lot of the ammonia being used today is produced using fossil fuels, mainly natural gas, which contributes directly to global warming. Arora—working under the supervision of Prof Sanjay Mahajani, Prof Anuradda Ganesh and Prof Andrew Hoadley—hopes to change this. Prof Murali Sastry, CEO, IITB-Monash Research Academy, is keenly following Arora’s progress. “The research that will be carried out at the IITB-Monash Research Academy is along thematic lines. This was a deliberate choice. The research themes represent key national research priorities of both India and Australia. We must address important research questions in areas such as Clean Energy, Water, and Infrastructure development which are vital for progress in both countries,” he says. This story was written by Mr Krishna Warrier based on inputs from the research student and IITB-Monash Research Academy. Copyright IITB-Monash Research Academy.